Asics' marketing pitch: Say hello to an entirely new and totally comfortable natural running experience. Upper: Mesh, synthetic suede overlays, TPU welds. Inner sleeve. Outsole: Hard AHAR carbon rubber in heel, softer blown rubber under mid and forefoot. This is the middle ground in Asics's new natural 33 series, and quite frankly, the only one worth a consideration. Upper fits nicely, and the ride is cushioned and slightly responsive. This is only o-fifteen 33 model we’d put our money on. If you’ve read our review of the $140 33M, you already know that we have a favorable view of the cheaper 33FA. Out of three new ‘naturals 33 series’ models released this year, namely the 33M, 33FA and the cheapest 33DFA, the $110 FA is the one which sticks, and ironically the reason why you shouldn’t buy the other two. And why might that be? Looking at the lay of the land will help us understand the reason. The $140 33M is very soft to run in, but ultra heavy by today’s standards. Its upper is the most ‘relaxed’ of the three, perhaps too much so and bordering on sloppy. The heel collar grip isn’t exactly confidence inspiring, and the tongue’s attached the traditional way sans a gusset. At the bottom is the $90 33DFA, which has a snug upper – pronounced in the midfoot – and a toned down softness. It weighs nearly the same as the 33FA, surprisingly, and comes with problems of its own. As far as the heel to toe drop is concerned, a 4 mm gradient equalizes all three models, so neither has an advantage over the other in this department. 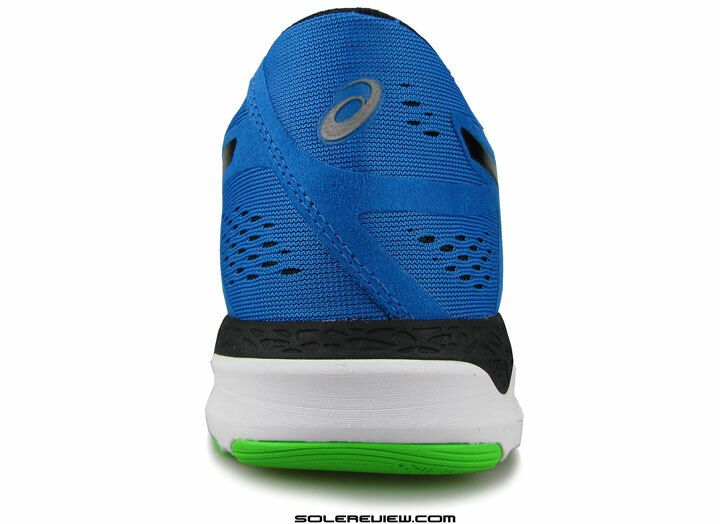 This is the middle ground of the natural 33 construct, in price, fit and cushioning levels. Asics does a commendable job at differentiating all three, and consequently the 33FA sits in the sweet spot. It is substantially lighter than the bulky 33M, only marginally heavier than the 33DFA, and the cushioning softness feels just right. Not too mushy, and though hard to believe it, the ride can even be called responsive – a rare occurrence when it comes to Asics. An inner sleeve from Asics? A new age dawns. The 33FA also comes equipped with an inner sleeve (we thought that day would never come), and in the process produces a quality of upper fit which is neither too loose like the 33M, nor too tight like the 33DFA. Just feels consistent throughout. 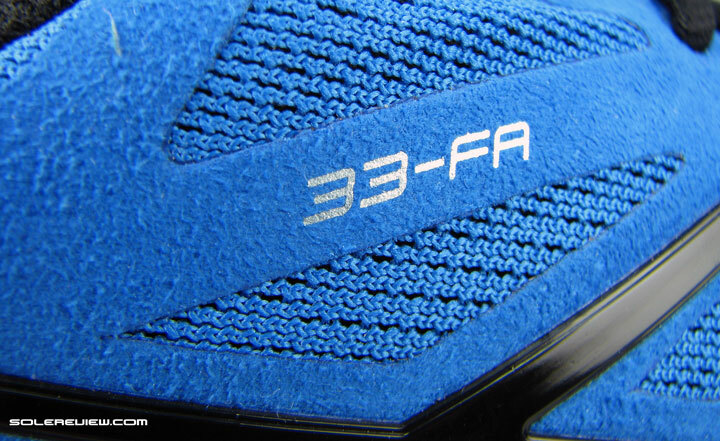 The level of segmentation which the Japanese brand aimed to achieve with the 33FA also comes in handy when you step out of the Asics playground. If you compare this shoe with the current crop of popular 4 mm drop neutrals – say models such as the NB Zante/Boracay, Skechers GRR4, Nike LunarLaunch among others – the 33FA still comes out as sufficiently differentiated. The 33FA fills the niche which offers a low heel drop with a softer quality of cushioning usually expected from a traditional, high heel drop neutral. This meld of characteristics makes the 33FA stand-out on its own unique traits and worth a consideration when shopping for a cushioned low-drop. Engineered mesh. Open knit in some areas, densely structured in other. Say, these shoes do look similar. Externally, the upper looks similar in parts to the one on 33M. The uppermost mesh layer is an engineered type, which functions using a combination of open and closed areas for intended ease of ventilation (more visual than functional in this case) and support, respectively. 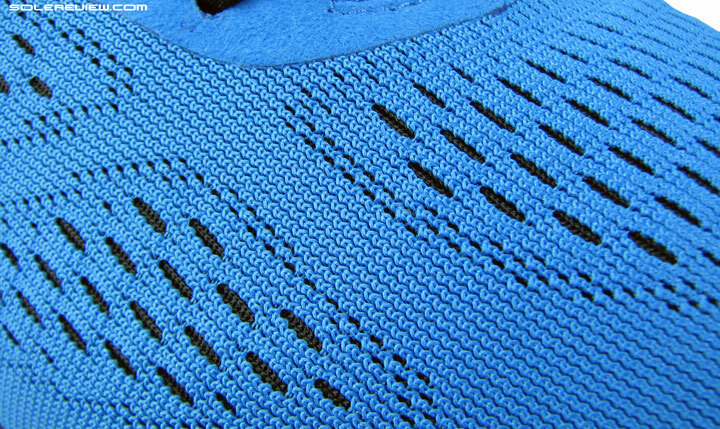 It just so happened that our reviewed color was blue, and it brought back memories of the 2013 Nike Lunarglide 5. And why bring a Nike to an Asics review? Because looking at both the shoes, the 33FA’s engineered mesh seems an uncanny, straight lift from the LG5. Coincidence? Perhaps. Worth a fleeting thought. What you can’t see from the outside is a layer of spongy air mesh. 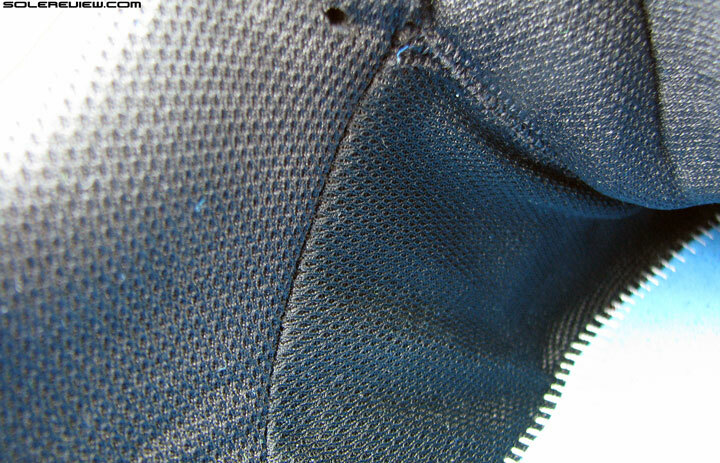 So we show that to you here – that’s the base layer bonded to the top mesh. Smooth material transition from collar to midfoot. Use of reverse seam is a nice touch. Looking for ample tongue padding? This is not the shoe for it. There’s a second layer below; an air mesh concealed between two layers. Slightly squishy to hand feel when squeezed, and that’s one of the reasons which makes the 33FA upper a comfortable place to be in. All of that is smoothened out by a base layer of inner sleeve. The sleeve fabric is attached to the heel collar lining by a turn-around/reverse seam, and the tongue is stitched in flat lock type. The use of both these seams eliminates bumps inside. 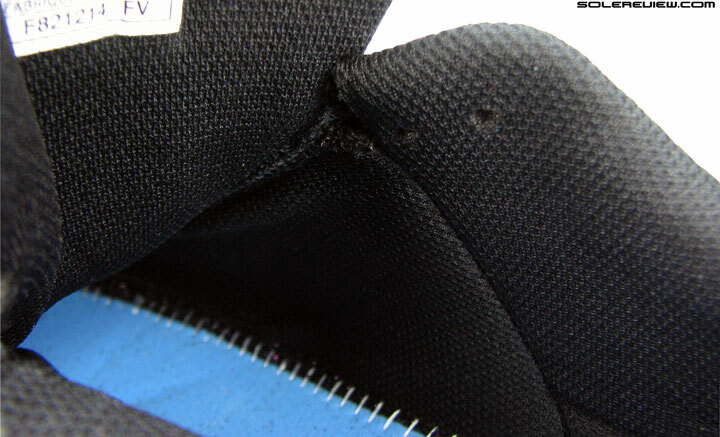 The tongue itself is meagerly padded and overlay-free expect for the strip of lacing guide on top. We wonder why the 33M and DFA skip using the inner sleeve, since it just makes the interior feel so much better. 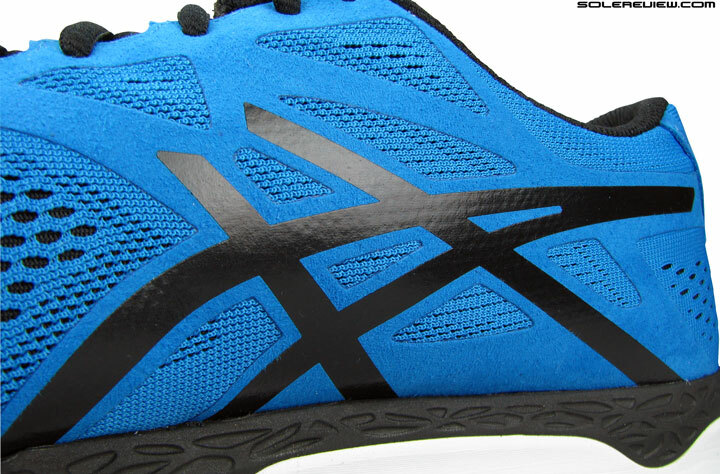 Not to mention, putting a stop to tongue slide, a commonplace happening in most Asics models. 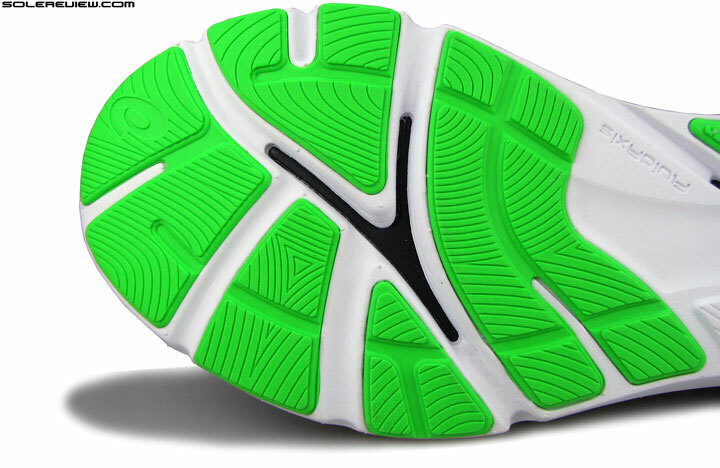 Take the 33M for example; the tongue shifts to one side after a mile of running. The 33DFA fares even worse. Utilitarian collar gets the job done. …which is fully collapsible, by the way. Do you have sensitive Achilles? Rejoice. The fishing hook shaped logo is the only one to step up for reflective duty when the lights come on. The heel collar is collapsible, one of the two natural 33 models (other being the DFA) to do so. There isn’t much padding, but as regards the heel grip, the job gets done. A pliant heel area will come as a relief for Asics loyalists who find the hard, molded counter construction intimidating. 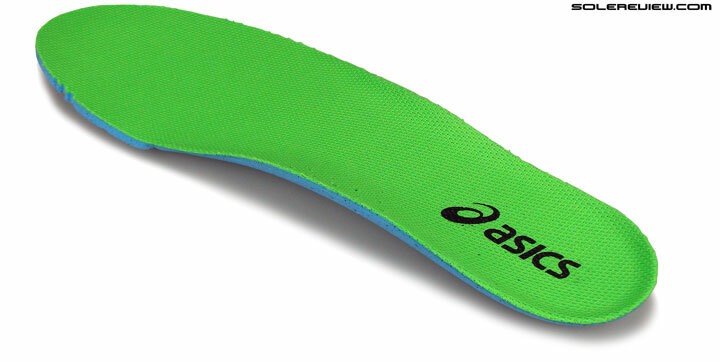 The collapsible wrap runs gently over the Achilles with a consistent grip. 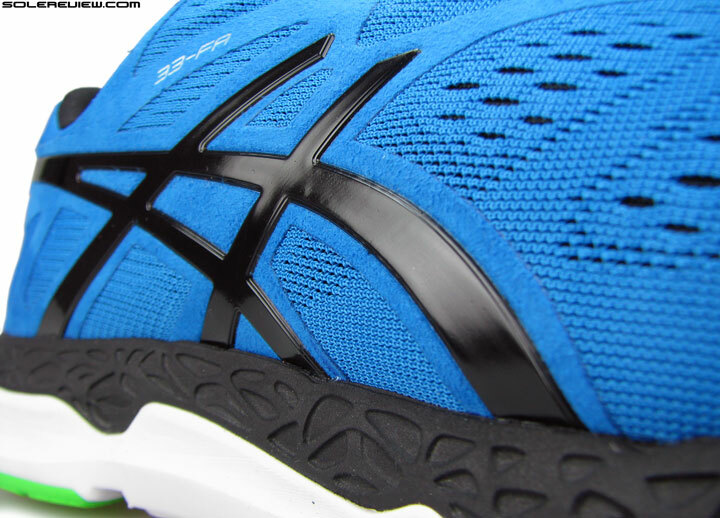 The back also sports the solitary bit of reflectivity, shaped in the form of the Asics logo. Internal toe bumper topped off with an artificial suede arc. The synthetic suede layers are soft and pliable. 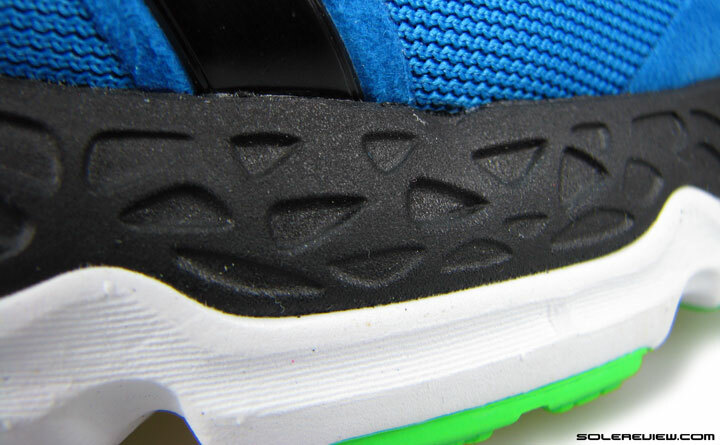 Overall feel of the upper is supple, moving with the foot without being hindered by thick layers. 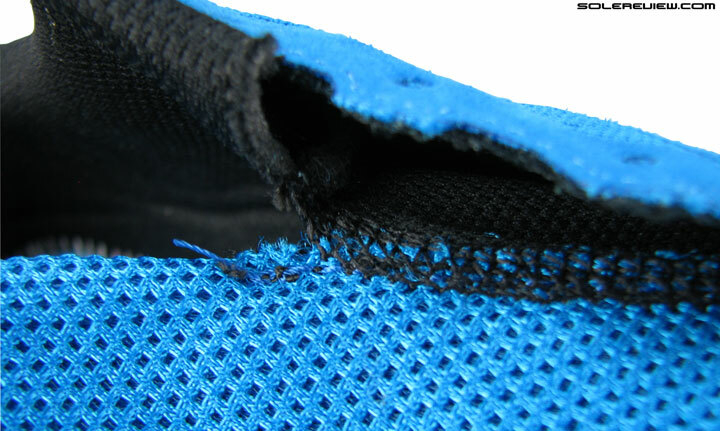 The first upper mesh is single piece, and cleverly joined at the heel with a concealed seam. Stitch free, artificial suede panels go over the midfoot and heel areas, and a small strip arcs over the toe bumper (which has an internal stiffener, by the way). The suede is thin, supremely flexible and is fused near-flush with the upper. 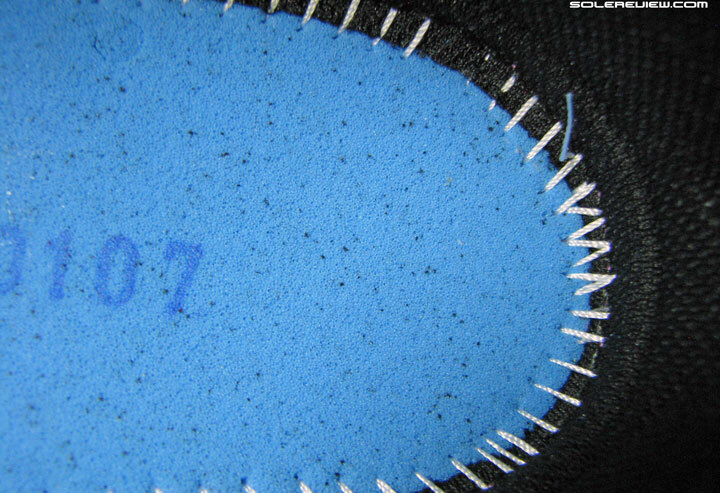 The forefoot area is kept free of suede materials on top, and fit duties are assigned to the upper fabric. 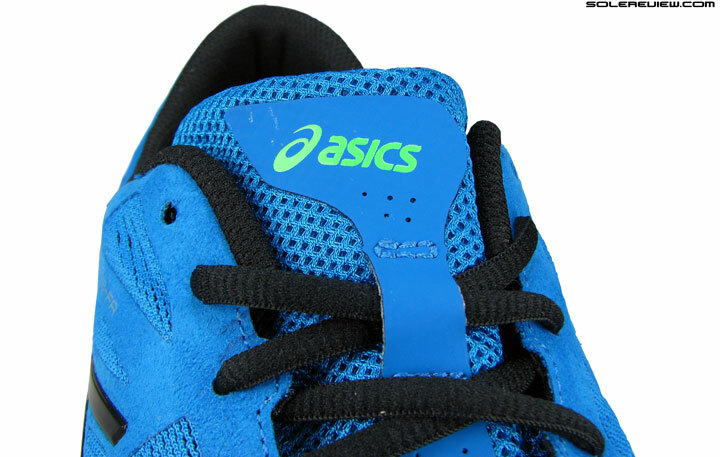 Molded Asics logo on outer side keeps things in shape. The medial side gets an inked treatment of logo. But hey, the suede overlays are there alright. 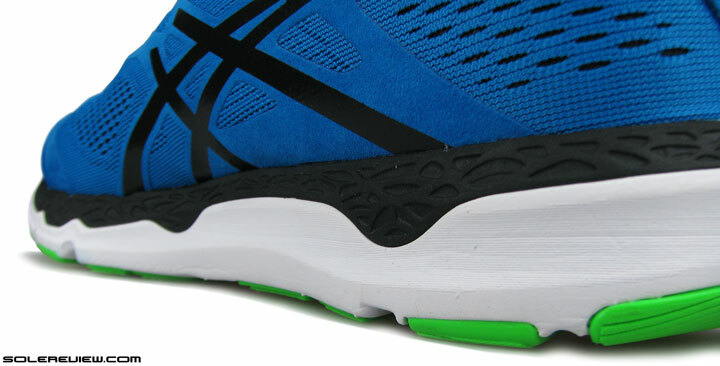 The Asics logo is molded on the lateral side, propping up an otherwise droopy upper. That doesn’t extend to the inner side, where the logo makes do with a printed version of itself. The lateral side is the ‘retail’ side, the customer facing side of the shoe, and a crisp silhouette makes for better presentation. The molded logo helps achieve that aesthetic. Smooth fit with consistent snugness. Thank you, inner sleeve and air mesh. This (sleeving) is such a good idea, and an obvious one at that. It’s puzzling why only the 33FA gets this among the three natural 33 models. The fit quality will please many. The upper closes on the foot with consistent snugness on all sides, with no pressure points or intruding overlays bending in on the foot. The inner sleeve makes the forefoot fit snug, yet is contrasted by the widely curved toe bumper, which opens up much space ahead of the toes. It depends from person to person, but if your second toe is longer than the big toe, then fit try a half size smaller and see how it feels. The matt synthetic lacing guide takes off some of the cinching pressure. We thought that the spartan tongue will have the lacing pressure bear down on the foot, but that’s not the case. 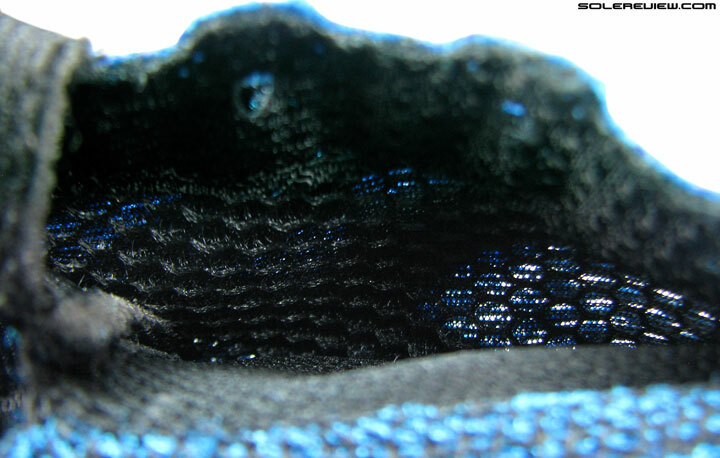 There is top down pressure, but consistent in snugness as rest of the upper, and the lacing guide insulates the cinch. The 33FA lacks a last/reserve eyelet for lacing, but its absence isn’t felt. Even without it, the lacing performs adequately as far as lockdown is concerned. The only disappointment is that there isn’t an option of a wide fit. Some level of custom fit is achievable by loosening the first row of lacing, which opens up room without affecting the quality of fit. The other alternative to broaden your choice of fits is to buy the roomier 33M or the tighter 33DFA, which will have you stepping into a different territory altogether. Not the best workaround, we’d say. Always a good idea to try and make the better shoe work for you. The stacked midsole design of the 2015 natural 33 series plays out here. Softer black foam, a firmer base underneath. Across the 2014 naturals 33 line-up, the stacked design of the midsole is a common treatment, though with variations in stack heights and foam density. Much like its maximal brother the 33M and the firmer DFA, the 33FA double decks two foams sheets together, one atop another. The order is softer foam near the upper, and a firmer compound below. 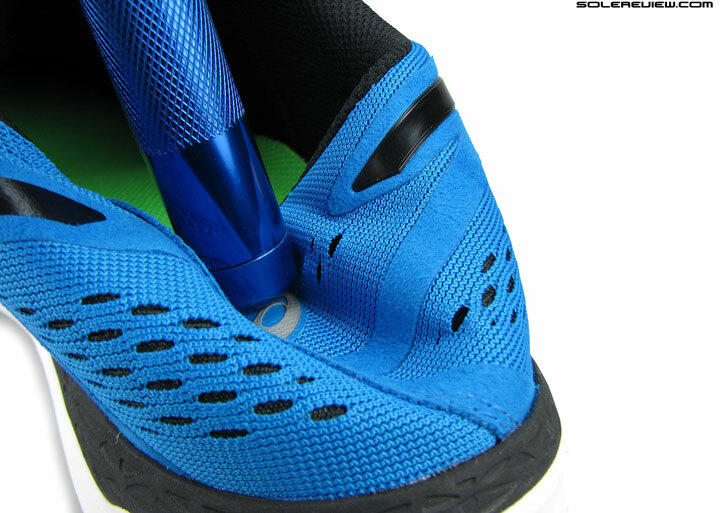 Air foam insole, same like the one in 33M. Strobel is also open celled ‘Comfordry’ foam, making inner dwellings softer to step in. Footbed and strobel gets the Asics ‘Comfordry’ foam treatment, a design feature we’ve seen on newer Asics model such as the Nimbus 17 and 33M. This heightens the cushioning sensation just below the foot, and likely to form a part of first impressions when trying them on at the store. 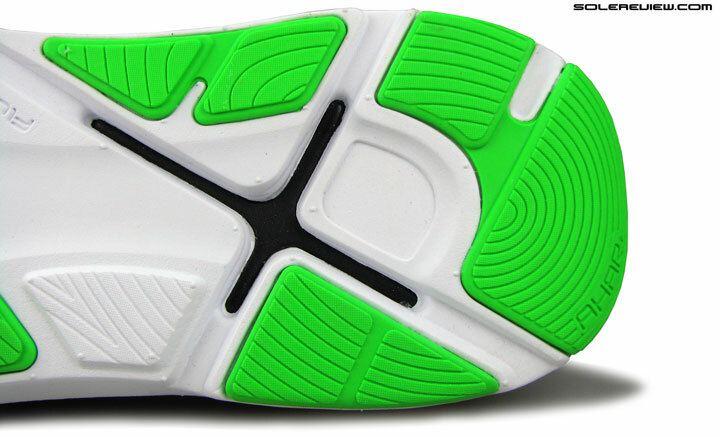 Underside is armored with plenty of outsole rubber. And forefoot is pretty stiff, actually. This is where the 33FA differs from the 33M. 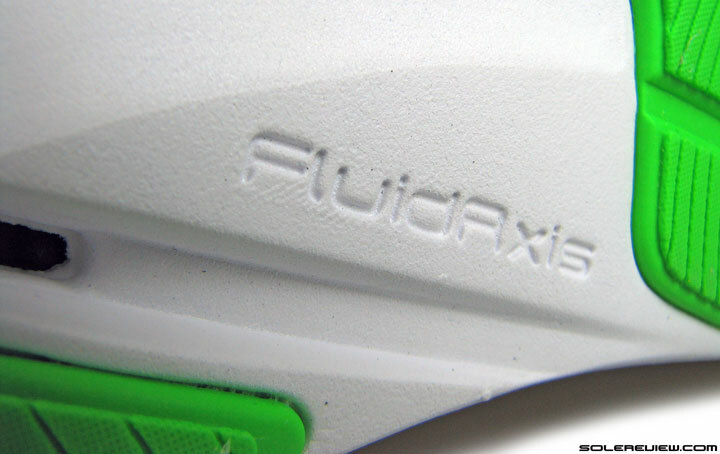 The outsole’s got a feature called the ‘Fluid Axis’. More to come on this below. 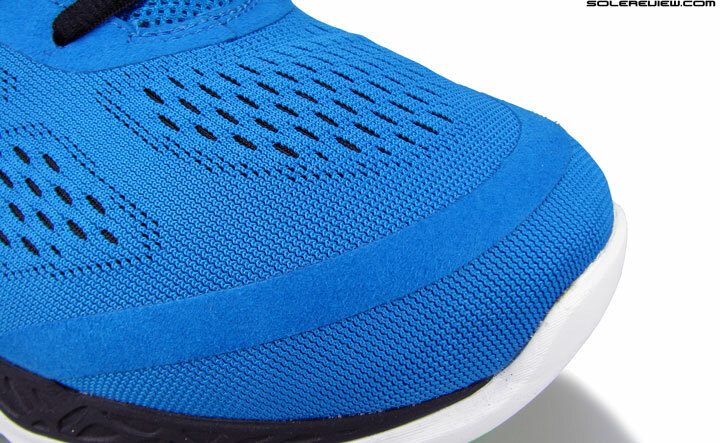 Under the heel area, there is a X-shaped area which exposes the softer black foam, and the design intent here seems to make the FA and DFA more responsive and adaptive than delivering just softness, which was the case on the 33M. A Y shaped splay area under the forefoot counter balances the heel design. Most of the 33FA’s 298 gm/10.5 Oz weight is concentrated in the lower parts, and the outsole rubber is likely a significant contributor. Rubber is applied on all wear and transition areas, including the heel and majority of the forefoot. 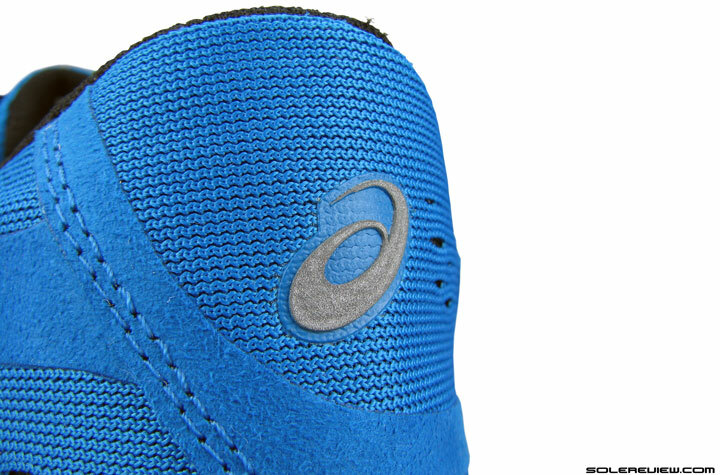 Midfoot transition is taken care of by the midsole foam making contact with the road. The toe spring is of average height, but the heel is fairly flat and unrockered/beveled. This translates into the heel edge being the striking point for rear-foot landers, and the ‘Y’ shaped area for forefoot strikers. Owing to the flat lug surface and hard wearing compound, initial shredding is minimal and the 33FA should be durable long term. On a side note, we thought that the forefoot will be flexible due to all that grooving, but it turns out to be surprisingly stiff. The reason is that the singular flex groove don’t run across the full sideways length, and is blocked by outsole rubber on the lateral side. 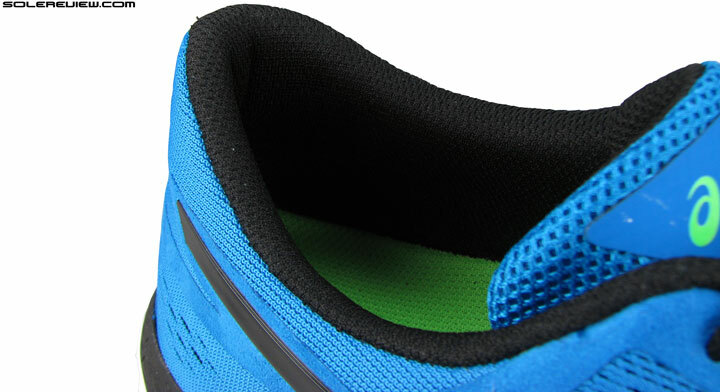 X-shaped opening under the heel exposes the upper layer of softer foam. Upon weight loading, this splays out to produce cushioning and a bit of responsiveness. That’s why this design is called FluidAxis. Because it’s got a X and Y… axis. That’s right. If the success of the Fluid Axis ‘X’ and ‘Y’ design was to be measured by cushioning responsiveness, then yes, that goal is achieved to a certain extent. The opening of the firmer base splays open when body weight is applied, creating a sensation which can be termed as responsive. This might not be a speed shoe, but cadence building isn’t hard for long runs; the uniformity and un-mushiness of the midsole does good in that aspect. And in line with what the middle ground the DFA is supposed to represent, softness and spring-back is blended and balanced well. This behavior is a refreshing change from many soft-only Asics models. Forefoot transition area is split diagonally by the ‘Fluid axis’ groove, separating the big toe push off area from rest of the forefoot. While we understand that this is meant to smooth toe-offs, it is hard to sense whether it makes a difference during use. Decidedly neutral behavior, no bucking around. The midsole walls have no ridging or grooves, resulting in a neutral behavior. 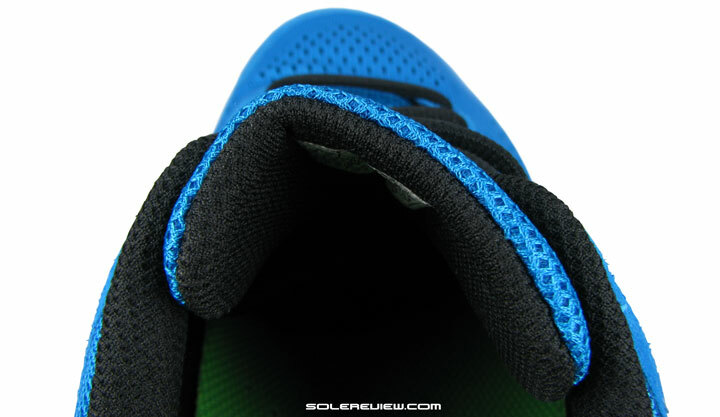 The base of the midsole also flares outwards slightly for stability. Stack heights aren’t very high (20 mm heel, 16mm forefoot), and the white midsole foam walls flare out slightly outwards at their base without cushioning grooves. This produces a stable ride for the 33FA, without any one-sided bias. The ride is perceptibly neutral, while offering the trappings of a cushioned midsole. The 33FA is not a shoe which will dazzle you with superlative cushioning and upper design pyrotechnics, but rather a 4 mm drop, soft riding workhorse which gets the job done silently. Like we said in the beginning, this is the only 33 series product which sticks. And $110 is a price value sweetener too. I was only skimming this review, but noticed the photo with the collapsed heel and apparent lack of a stiff heel counter. I have a sensitive achilles and this would potentially be an important feature. I’ve also noticed the UA Gemini which has a half-counter plus a flexible fabric structure. What other shoes with moderate to maximal cushioning have unstructured heels? I’ve tried the Saucony Virratta (discontinued) and Kinvara 3 (I believe the 4 and 5 have plastic counters), but these don’t have enough cushion. I will certainly give this Asics a test drive, that image is worth a thousand words! In addition to the Gemini, the Zante also features a minimal counter. If you want a fully collapsible counter with cushioning to go, the Nike LunarLaunch is a shoe you should try. Spot-on review – thanks for highlighting this great shoe. This is the shoe I chose after trying about 10 pairs to gear up for the spring/summer season. My local shop seemed to intuitively know about the 1/2 size up issue, so that wasn’t a factor. What sold me was taking them out on the road. I ran all winter outside (I’m in Maine, so this required trail shoes at the very least) in Brooks PureGrit 3s and the 33-FA mimics the drop and soft construction of those shoes. Difference is in the natural feel when on the pavement. It’s not plush, not harsh, it’s just right. Gives you the wherewithal to focus solely (pun?) on the run. Highly recommended for those who are comfortable with the low drop. ASICS did it right with this model. 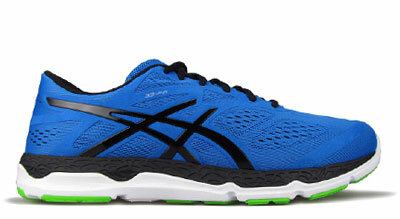 That’s our impression too; this is the best Asics out of the new 33 series assortment. Thank you for your feedback! Great shoe ! Perfect shoe for supinators/underpronators like myself. Light, flexible, perfect cushioning. Makes you aware of your running form and your foot is not restricted. Glad to hear your positive experience with these, and thanks for the feedback/ purchase insight. Any news or your opinion on the future of this shoe ? I have noticed price reductions at many retailers, possibly because it is not that popular ? Thanks ! No news or opinion 🙂 This is an average shoe not exactly firing up sales charts, so it is ultimately Asics’s call on what to do with the model. Since past one month I am constantly reading the reviews and I must admit you are the best reviewer and would like to give double thumps up. Actually I am 23yrs old and want to start running. After lots of research I full stopped my search at nike lunar tempo and purchased that online. Undoubtedly shoes are awesome but as you said in your review of nike lunartempo my front of foot geot jammed like it has been captured in a cage or something. So my second option is asics 33fa or puma faas 500. Please help me out regarding this or suggest me some alternative. Other thing I was thinking about the lunartempo is that since these are new shoes and it might be possible that after some use it may get loose since the body may get stretch a bit after hitting the ground track. So is this factor considerable or not. They will not stretch as much – the toe-box is too shallow. Is it possible that since the shoes are new so after hitting the ground track for some days it may get stretched and loose up a bit. Thanks for your great shoe reviews! I have a Haglund’s deformity (pump bump) on one foot, and issues with plantar fasciitis on and off on the other. I recently tried a pair of 33-fa’s and really enjoyed the soft heel area (lack of any hard plastic piece around achilles insertion area) for my pump bump, but overall found the shoe to be too “mushy” feeling, and the upper seemed to loose and like it was not giving me enough support on the upper, if that makes sense. After trying a fair number of shoes lately, I am wondering if you could recommend a mild stability shoe that meets these criteria: fairly light weight, good cushioning but doesn’t feel mushy (still responsive feeling), soft achilles area and with a very low or absent hard plastic piece in the heel area (like the 33-fa), low heel collar, and upper with some structure too it? Recently I have tried the mizuno wave rider 18, and like the overall feel of these, both in the upper and in terms of cushioning and responsiveness, but the heel area aggravates my pump bump, and I would like these better if they were a mild stability shoe instead of a neutral shoe (my plantar fasciitis seems to do better with mild stability). I have also run in the saucony kinvara 5’s, and really like these (the plastic in the heel is low and like the overall feel), but again, wish they were a mild stability shoe. Any recommendations would be greatly appreciated! Sorry Abby, we’ve come up blank on a stability shoe meeting the requirement of a collapsible (or near to having one) heel counter – at least not within the list of shoes we’ve reviewed so far. Ok, thanks for your reply! Any you can think of with lower heel counters? Found this shoe at 50% off and obviously checked your review before purchase. I’m having a lot off shoes so plenty to compare to. Took them for a 15km run yesterday and they felt very good. Usually I feel the 4mm drop in my calves but not in these. They are soft with cushioning but still a bit responsive. My first pair of Asics over the last 15 years. Very comfortable, sized up half a size, fit’s well. Yes, out of this year’s 33M/DFA/FA release, the FA is the best. Thanks much for the feedback, and for helping us on Indiegogo! Thanks guys! Happy to be able to support! The comments/Q&A thread will be closed till January 17, 2016. Premium access members can continue to use their dedicated comment section, which will be open.